How Does 8D Manager Benefit Our Customers? Your customers take corrective action seriously. They expect thorough evaluation and resolution of the problem. The more professional your approach, the more satisfied the customer. 8D Manager helps you handle corrective actions in a thorough step by step manner. The presentation of the corrective action report is key to impressing your customer. It shows the customer that you take their complaints seriously. 8D Manager produces professional corrective action reports which include 8D, 9D, 5Y, 4M and standard form. Best of all, you don't have to worry about formatting the reports. Your customer also wants you to track the progress of the corrective action. They will ask for status updates of the corrective action items. With 8D Manager you can quickly provide the status. If the situation is urgent, you can quickly bring up the corrective action, the customer complaint, and all other supporting documents. 8D Manager prevents you from unnecessary embarrassment. Before submitting the corrective action report to your customer, you can quickly review all of the previous corrective actions for that customer. 8D Manager prevents you from reporting the same causes / actions for different corrective actions. We don’t conduct 8D analysis, will this software be useful for our corrective action process? Yes. The software includes standard corrective action forms that includes containment and corrective actions. In V4 we added many reports that address this. No matter your corrective action approach, 8D Manager lets you manage and track all of your corrective actions in one place. Can this software help us meet ISO requirements? Absolutely. 8D Manager will impress your auditor for internal corrective action, external corrective action, and preventive action tracking. In addition the software package includes a corrective / preventive action procedure. ISO 9001:2015 version now requires Risk Management. You can use the 9D to address risks and use these for your Quality Management Reviews. Consistent styling and colors. Cleaner interface. Many new reports including containment, root cause and corrective action only and portrait 5D. Tab selection for subset actions of containment, root cause, corrective action, preventive action and risk / safety. Expanded view of for each type of subset actions. Expanded traceability for 4M, 5Y, RMA and the Main List. Improved network multi user use. Both users with Microsoft Access and Non Microsoft Access can work with the same 8D Manager database at the same time. What is the difference between Version 3 and Version 2? Version 3 is a major update from version 2. 8D, 5Y, 4M templates for meetings and supplier issues. Improved traceabilities lets you assign form names, form numbers to fit your documentation system. Assign unique codes to each action. Track costs for these codes. Extensive cost metrics. See costs by your unique codes, by customer, by action type, etc. Pareto charts for costs and counts. Extensive drop down lists lets you add your own categories, employees, codes, etc. What is the difference between Version 2 and Version 1? Version 2 is a major upgrade. The traceabilities on the forms don't match our company’s needs. Can I email the corrective action form to my customer? How many corrective actions event does the software hold? How many action items can I track per corrective action event? Since I don’t know Microsoft Access, will I be able to use the software? Yes, you don’t need to know anything about Microsoft Access. You probably won’t need it, but included with the software is a pictorial instruction manual that provides step by step instructions. Why did you use Microsoft Access to build the application? We selected MS Access to keep the price of the software down. With Access, all users within your company can edit and view the software at the same time. In addition, Access also allows for unlimited amount of records. Since most of our customers have Access installed with Microsoft Office, it makes a great application / database backbone. Why are there two different versions Microsoft Access and non Microsoft Access? Both versions are Microsoft Access based. The non Microsoft Access includes a run time version of Microsoft access. If you have Microsoft Access on your computer then select the Microsoft Access version. Besides the above, they are exactly the same with regards to features and use. We have limited employees with MS Access, which version do you recommend? I recommend starting with the the Microsoft Access version as the main file. However both versions will work together on your network with the same file. Below we detail the instructions for running the software on the network for user who have or don't have Microsoft Access. Select the version you need for the user. You may run into problems if you install the non access version on a computer that already has Microsoft Access. This is due to Microsoft access conflicts. Choose a directory on your network. Create links for each user to 8DManagerV4.accdb on the network. Enable Macros and Code for each user. See Security at beginning of the manual. 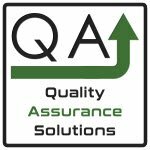 Send serial numbers to Quality Assurance Solutions for unlock codes. Email instructions are shown upon opening 8DManager. Copy either 8DManagerV4.accdr or 8DManagerV4.accdb to the directory. Create links for each user’s PC to 8DManagerV4.accdb or 8DManagerV4.accdr on the network. Enable Macros and Code for each user by creating a trusted location. See Security at beginning of the manual. For those who don’t have Microsoft Access, you can create a trusted location with Microsoft Word or Excel. To avoid confusion, delete 8DManagerV4.accdr that resides locally on the user’s computer. How do I know if I have Microsoft Access? Click Start > Select All Programs > Select Microsoft Office > Check and see if Microsoft Access is listed. If Access is not listed then buy the non-Microsoft Access version. What version of Microsoft Access do I need to run the application? Microsoft Access Version 2007 or greater will work with 8D Manager. This includes Access 2007, 2010, 2013. 2016 and Office 365. If you have an older version of Microsoft Access select the Non-Microsoft Access version. Why is our IT department concerned with MS Access? I’m not sure about that one. In the mid 90s MS Access had some rare problems when the database got too big. However, Microsoft addressed these issues a long time ago. Does the software connect to the internet? Does the software contain any mal-ware or harmful macros? Harmful sub routines? Harmful coding? Since it is Microsoft Access, can I modify the software? But, my company needs something that the software doesn’t include. Please feel free to contact us with your specific needs. We may be able to modify it to meet your needs. Can I review the manual before I buy? Are there any cost or other implications for multiple users? Yes. The license for 8D Manager is per user and computer. (see next section) Each subsequent license purchased by the same buyer is only $45.00. After initial purchase, we provide links for the buyer to purchase the additional licenses. When placed on your network, all licensed users can access the same the data at the same time. Each user on each PC will need a license. If they want to use the software on multiple PCs, they will need a license for each PC. If you have a user who uses the software from multiple remote terminals with the same login credentials on each terminal then that user only needs one license. If you have multiple users on the same PC, each with different login credentials then each user will need a license. If they share the same login credentials then you will only need one license. 8D Manager generates an unique serial number for each user & PC combination per above. After purchase, the buyer emails serial number(s) to us at rcbhome@comcast.net or support@quality-assurance-solutions.com. We provide these instructions within the software. Within 24 hours (usually within 1 hour) we will provide the unlock numbers(s) for that computer. As a license user how does updates / upgrades work with regards to software costs? During a limited time we will charge a reduce amount for the upgraded software. This is a one time fee and all other license users for the business data receive the update at no additional costs. This will include transferring your data to the new revision. Past that time, we charge the full amount of the new software. But this includes transferring your data as this is a manual process. Previous versions had unlimited users (with no license per computer) at one business location. We no longer support this model. In this case you still receive the update at a lower costs but all additional computers will need to purchase licenses at the discounted rate. The software doesn’t meet our needs. Sorry to hear about that. We offer a 30 day money back guarantee. Just send us an email. We want to make sure you get up and running with the software. If you have any installation issues please send us an email. We usually answer within an hour and at the latest 24 hours, and that includes Holidays. Also feel free to ask about anything else with regards to the software. Is it Windows 7 / 8 / 10 compatible? 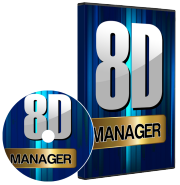 8D Manager is compatible with Windows XP, Vista, Windows 7, Windows 8 and Windows 10 / 10S. Whenever I enter some data and delete that data completely in any of the “Containment, Root Cause, Corrective Action and Preventive Action” fields, I am getting an extra blank field in that section when I print the form. Please let me know how can I stop it? To completely delete the data row, you need to delete the entire row. Click on the grey box that starts the row and then hit the delete key. Sometimes the sequence (1, 2, 3) gets jumbled in “Containment, Root Cause, Corrective Action and Preventive Action” section. How can I avoid it? You can number the actions with a given sequence. This lets you present the information in a orderly manner. When you are working on the form you can renumber the actions. Based on your input, the sequence correctly resets itself when you close the form and then reopen. This fixes the problem. I purchased the 8D Manager but when I open it tells me it is a read only and I cant change or add information. After purchase you will download a zip file. You get this issue when you are running the program from the zipped file. Right click on the zip file and select extract all. Be sure to extract the file to a known directory. 1) Tell Microsoft Access that 8DManagerV4.accdb is in a trusted location. 2) Fully Enable Macros within Microsoft Access. 8D Manager comes with (8DManager.pdf) pictorial instructions on how do this. You will only need to do this once. When I add a corrective action and close it, I don't see it in the main list. Click on Toggle Filter twice in the Ribbon.